The first thing you’ll notice about the Everki Titan is its size. At 40 liters, the Titan is large enough to carry all of your daily or travel essentials without fear of running out of pockets or compartments. 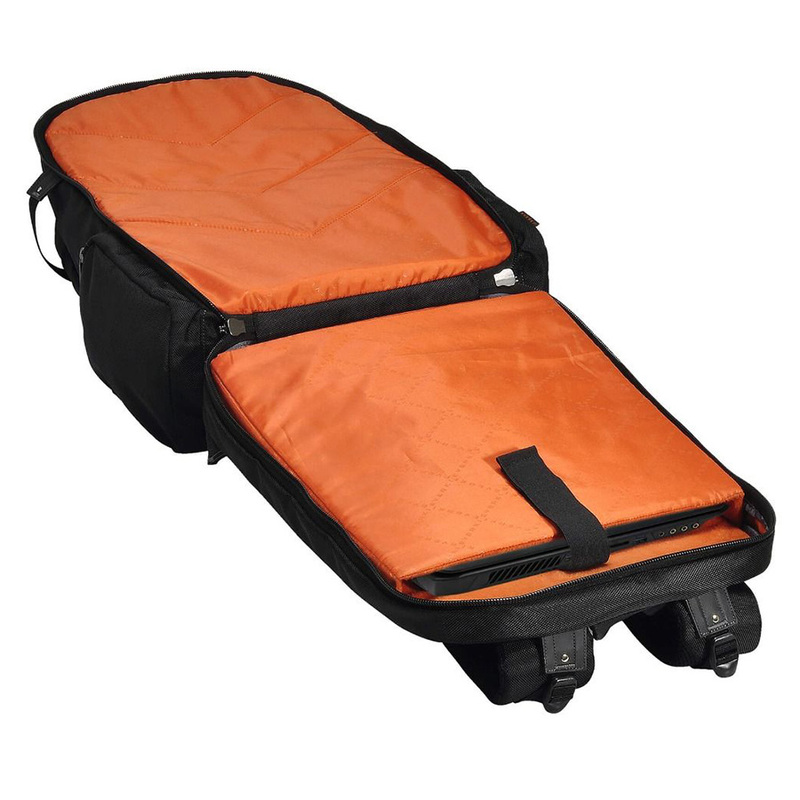 The bag itself is split into 3 main areas; the TSA-friendly laptop compartment, a main compartment and a front organizer compartment for smaller items. 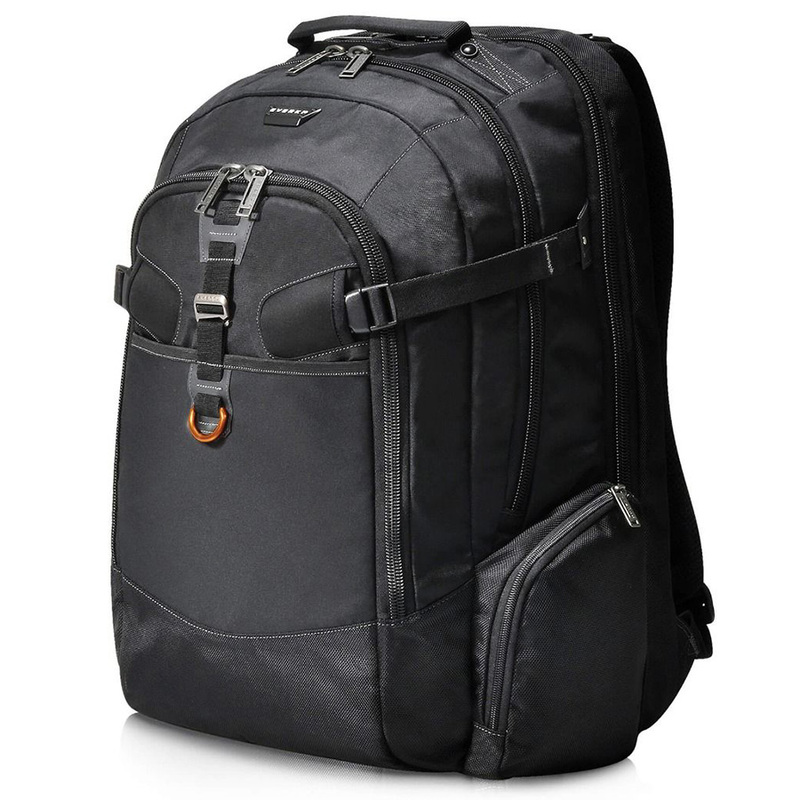 Add in tons of other pockets, organizers and hidden compartment and you have a monster of a backpack that’s perfect for busy commuters or travelers. TSA checkpoint friendly laptop compartment that lays flat. XL laptop compartment - Most backpacks can only fit laptops up to 15-inches while the Everki Titan has room for laptops up to 18.4 inches. Lots and lots of pockets and organizers for small items. This backpack is huge yet the main compartment is lacking. It’s not roomy enough to pack multiple days of clothes or larger items. No trolley luggage pass through which is a huge con for us since this backpack can really heavy when full.